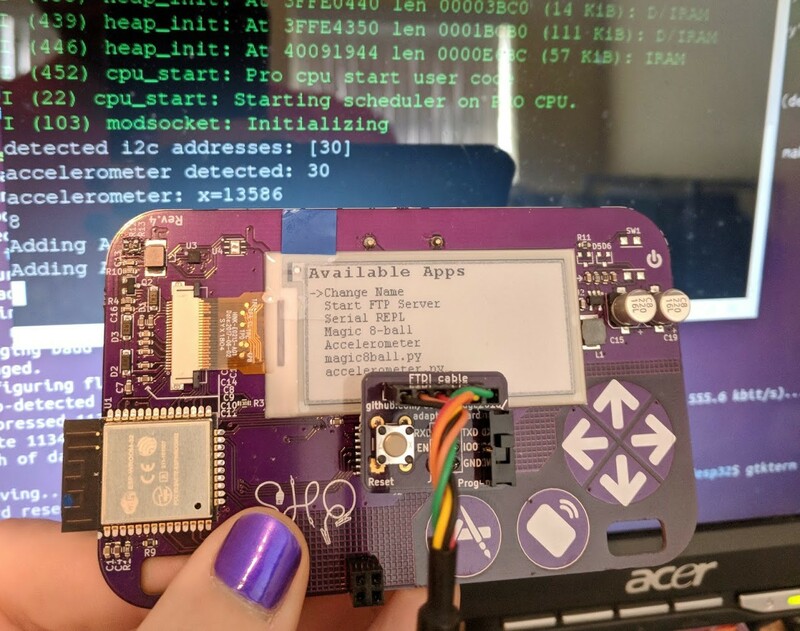 Drew Fustini will also have USB-to-serial adapter boards for badge to share! 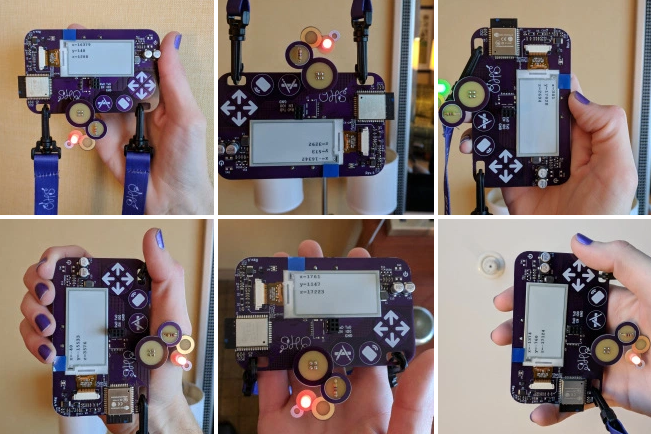 The extra badges from the Summit are being sold here on Tindie as a fundraiser for the Ada Lovelace Fellowship which provides travel assistance to the Open Hardware Summit. 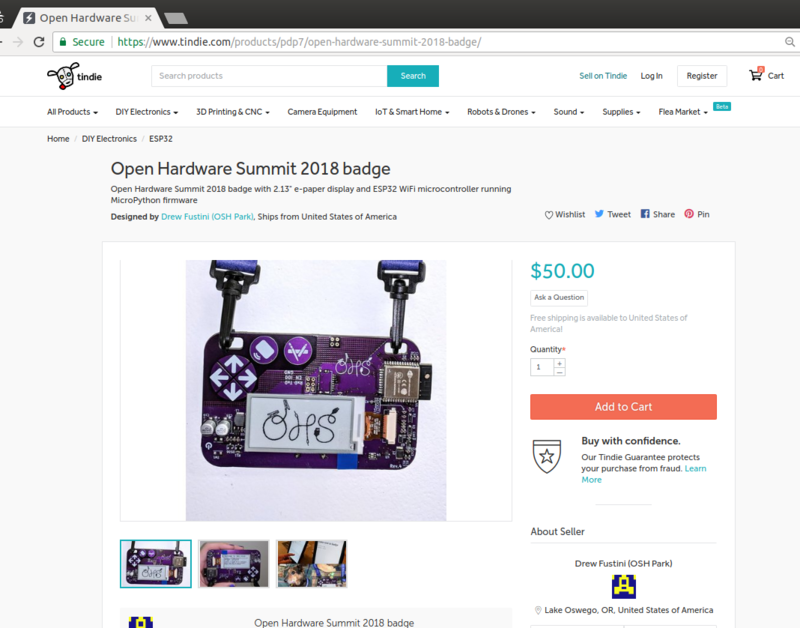 All sales revenue will be 100% donated to the Open Source Hardware Association (OSHWA) for this purpose.